The Masters is one of the most historic and influential tournaments in all of the sports. Many people all around the world dream of attending the event in person but few people are actually lucky enough to see Augusta in person. Masters tickets are some of the hardest tickets to get in the entire world and if you are lucky enough to get the tickets you can expect that people will offer you a lot of money for them. The Masters live tournament takes place from April 8th to the 14th in 2019. 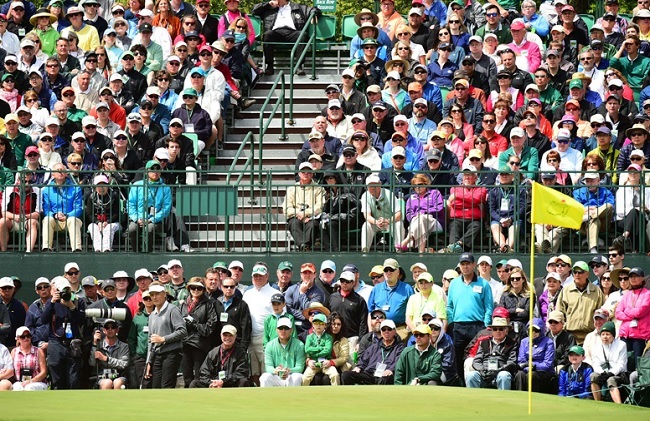 Masters badges are “among the most coveted tickets for any event, sporting or otherwise,” according to Brian Talbot of TickCo Premium Seating. So, how can you hope to get tickets if they are the hardest sports tickets to get in the world? We are here to show you how you can score tickets to the 2019 Masters. There are three different ways to get into the hallowed grounds at Augusta, Patron Badges, The Masters 2019 Tournament Tickets, and Practice Round Tickets. Patron Badges are the cheapest option but they are almost impossible to get. Back in 1972, Augusta National Golf Club started to make tickets available to the general public and they started a waiting list for fans to get a chance to receive a Patron Badge. But, in 1978 they had to close the waiting list because the Masters had become so popular and the waiting list was exponentially long. The waiting list was not opened for another 22 years until 2000. Even then the waiting list was only open for a few months before the list was closed yet again. The waiting list has not been opened since then. The only way that someone can get a patron badge is if someone of the current list dies and does not have a living spouse. If the person dies and they have a spouse then the badge will be transferred their spouse. If the patron badge owner does not have a spouse then the badge will be awarded to someone on the waiting list. Golf fans all over the world are anxiously awaiting for the badge list to open up so that they can have a chance to get on the elusive waiting list. Once you are on the list you only have to pay $315 for access to the entire week of practice and tournament rounds which is an absolutely incredible deal. If you want to buy a patron badge for a day or the entire week you are going to have to pay a pretty penny. For just one tournament day you will have to pay $1,500 for just one ticket, that is an extremely high price to pay. If you want the patron badge for the whole week you are going to have to pay 5 figures. In 2018, there was a patron badge on sale for $15,000 for the entire week. That is one expensive week! The Masters has made a recent change in the past few years which have allowed more fans to buy tournament round tickets. In 2012, the Masters website began a lottery where they give away a limited pool of tickets to anyone who registers on their website. This is your best shot at winning Masters tickets if you do not want to pay an exorbitant cost. You can go to this link here: https://tickets.masters.com/app/welcome and you can create an account. Once you create an account you will be able to sign up for the lottery and a chance to win Masters tournament tickets. Please note that you have to enter credit card information and be at least 21 years old in order to sign up for the lottery. There is a small chance that you can win tournament tickets and if you do happen to win you will be sent an email from Augusta National Golf Club letting you know that you won the lottery and be asked to approve payment so that tickets can be released to you. The tournament tickets cost $115 each which is a great deal. Similar tournaments can be much more expensive. If you do not happen to win the lottery then you can go through a ticket website such as eBay where you can expect to pay a few hundred dollars for the practice rounds on Monday and Tuesday of Masters Week. If you want to go see the par 3 contest on Wednesday then you will typically have to pay over $1,000.